Handy base holds the tube for easy storage. Note: A minimum quantity of 576 must be ordered, and in units of 48 thereafter. 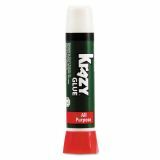 Krazy Glue All Purpose Krazy Glue, Precision-Tip Applicator, 0.07oz - The All Purpose Formula is great for everyday household repairs. 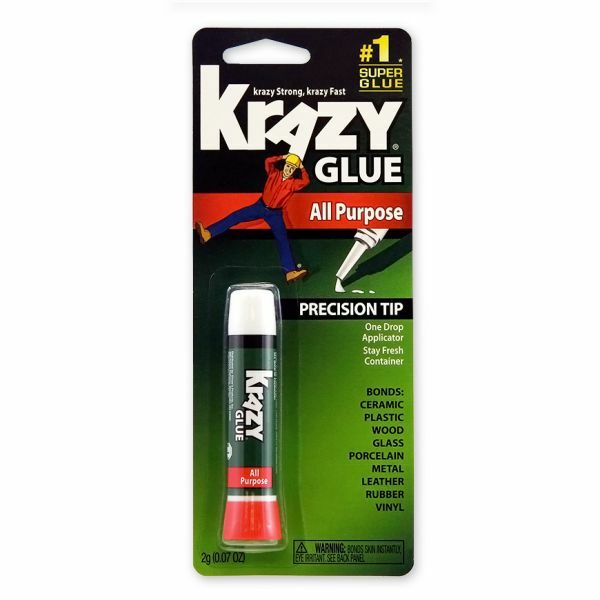 It works great on wood, rubber, glass, metal, plastic and ceramic.The handy base holds the tube for easy storage. 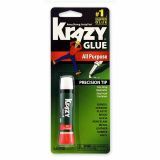 The airtight, leak-proof cap keeps glue from drying out.